With hospitality degrees in Indiana, you can foster your love of working with people. 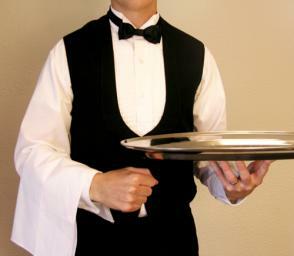 The hospitality industry is one of the fastest growing industries in the world. Even during the recession, people didn’t stop taking vacations. They knew that cutting back and staying closer to home would let them enjoy a break without costing them too much. As a hospitality expert, you can help people find ways to save on their trips and ensure that they never forget their trips. Several schools across the state offer programs that let you earn a degree and gain some experience working for a hotel or another attraction. Indiana University is one of the largest public colleges in the country and the largest in the state. Once known primarily as a party school, the university worked hard to change its reputation in recent years. It maintains one large campus in Bloomington, which also serves as its flagship campus, but it also has campuses across the state, including in South Bend, Gary, New Albany and Fort Wayne. Most of its programs are available on each of those campuses, but students can also take classes through an extensive network of courses that cover nearly every topic available. The BS in Tourism, Conventions and Event Management is a program available through Indiana University designed for event planners and others working in the hospitality industry. New students take 30 credit hours of general education work, including courses in communications, physical sciences, analytical reasoning, social sciences and arts and humanities. IU knows that the tourism industry is part of the greater business world, which is why the school requires that all students take 21 credit hours of business classes, including operations and supply management, introduction to human resource management and introduction to marketing. Tourism and hospitality students take an additional four elective courses: two at the 100 or 200 level and two at the 300 or 400 level. Before earning your degree, you will also take 57 credit hours of tourism and hospitality coursework, including tourism policy and sustainability, career and leadership principles, tourism marketing and sales and economics of tourism and events. Ivy Tech is a chain of community colleges located all across the state of Indiana. Originally founded as a single junior college, the school added new locations to meet the needs of various regions. Ivy Tech now has locations in Bloomington, Terre Haute, Lafayette, Fort Wayne and 10 other cities. Over the years, the school shifted its focus from a feeder school that encouraged students to continue their studies to a school that offers courses guaranteed to help students work without any additional education. Students can take classes online or offline, and they can also transfer credits between two or more campuses. Ivy Tech added its Associate of Applied Science in Hospitality Administration to fulfill the growing need for qualified and dependable workers in the growing hospitality industry of Indiana. Past graduates work as restaurant managers, event planners, hotel managers, event center coordinators and in various cooking and baking positions. The program is available at 11 of the Ivy Tech campuses, and the basic degree takes place over four semesters. Students taking a full course load take 15 credit hours each semester. Ivy Tech lets students take general courses or specialize in the culinary arts or baking and pastry arts. In addition to composition and other general education courses, students take classes that include basic food theory and skills, sanitation and first aid, menu, design and layout and human relations management. Elective courses help you learn more about specific hospitality areas, including running and managing restaurants, hotels and event centers. Though established in 1863, Purdue University didn’t open until 1872. Named for a generous benefactor, the university saw its first student graduate only one year after opening. Several years later, the school decided to focus on longer degree programs. Though best known for its engineering program, the school offers degree in dozens of different fields. Students can earn a Bachelor, Master or Doctorate from the main campus in Lafayette or one of the other campuses operated by Purdue. Purdue now has five campuses and remains a part owner of a campus in Fort Wayne, and it ranks as one of the top 65 colleges in the country. Almost from the day the school opened the Hospitality and Tourism Management Department through its College of Health and Human Services, Purdue University devoted itself to remaining on top of the newest forms of technologies. The school understands that the tourism field changed quite a bit from the 1950s to today, which is why it provides students with access to the newest computers, software and technologies that they might use on the job. The Bachelor in Hospitality and Tourism Management covers topics on sanitation, marketing, accounting, purchasing, hospitality law and operations. Students must also spend time working in one of the two restaurants on campus, and they must complete an internship that involves them working 400 hours in the field. Purdue University is one of the few schools in the country that offers a Master of Science and a Doctor of Philosophy in Hospitality and Tourism Management. Those advanced programs let students focus on restaurant management, hotel management or general tourism. Located in Angola, Indiana, Trine University originally opened as Tri-State University and met the educational needs of students living in Indiana, Ohio and Michigan. Though the university still runs that main campus in Angola, it also offers satellite campuses in South Bend, Fort Wayne, Warsaw, Indianapolis and four other cities. Those satellite campuses operate out of business parks, offices and similar locations and let students earn a degree without moving to Angola. Now named for a former president of the school, Trine University is one of the largest chains of colleges in the state and has nationally accreditation from a leading organization. Trine University offers a BA in Hospitality and Tourism Management through its School of Professional Studies. This program focuses on the idea that those working in the tourism field often manage businesses and large groups of employees. Students take a large number of business courses that can help them lead groups, manage the daily operations of a business and effectively work with clients and customers. This 120 credit hour program requires the completion of 42 credit hours in general education coursework, including social sciences and humanities, oral communications, math and sciences. Students also take 33 credit hours of business courses and 33 credit hours of tourism classes. Hospitality and tourism classes include lodging management, current trends in tourism, catering and casino, spa and resort management. You will learn the importance of proper sanitation, the risks associated with running a tourism company and how to plan and market events of different sizes. Vincennes University operates a large main campus in the Indiana city of Vincennes, but it also maintains three smaller campuses in other parts of the state. Students can now enroll at a branch of the university in Jasper, Indianapolis or Fort Branch. Though the school previously had a partnership with Ivy Tech, the two schools ended that partnership in 2005 when Ivy Tech became Ivy Tech Community College. The university has a rolling admissions policy, which lets students apply for admission and begin taking classes the next semester. It also receives a high ranking due to the large number of students working after graduation. Designed for hotel and resort managers, the Hotel Management program through Vincennes University helps students get a better grasp on what their futures hold. This two-year program culminates with an Associate of Science in Hotel Management. The Vincennes program is unique in that it requires the completion of several courses that are only worth one credit hour, including classes on hospitality security, dining room management, hospitality customer service, alcohol beverage management, non-alcohol beverage management and dining room management. In addition to the 16 hotel management courses required with this program, students also take 24 credit hours of require coursework in composition, communications, math, laboratory science and social science. Most students take between 14 and 16 credit hours each semester and finish the program in two years. The university also offers an internship worth two credit hours, but the school doesn’t require that its students complete an internship. The hospitality industry includes hotels, resorts, amusement parks, state and national parks and hundreds of other attractions. Working in this field lets you chat with vacationers, balance budgets, ensure the happiness of works and do dozens of other things every day. Get started in the industry when you learn more about hospitality degrees in Indiana.